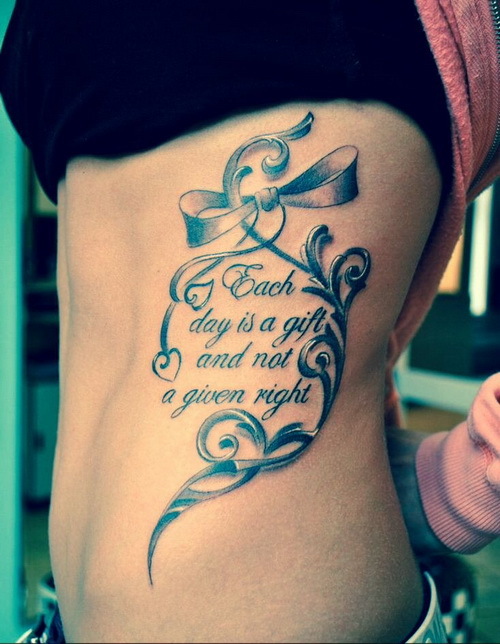 We have brought to you some tattoo quotes for women which may help you understand the significance of tattoos in some people’s lives. 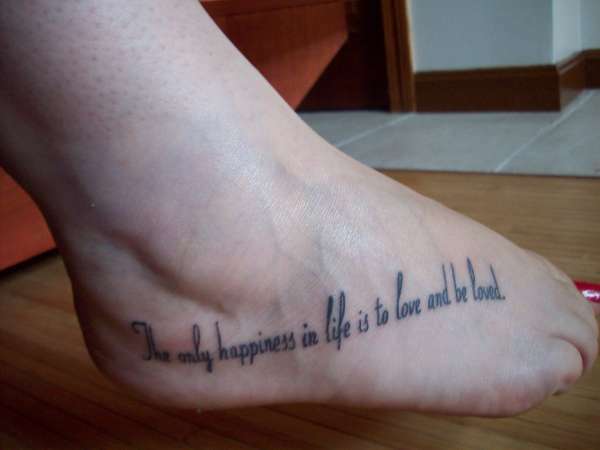 A tattoo is a basic body modification, which occurs with the insertion of indelible ink into the skin. 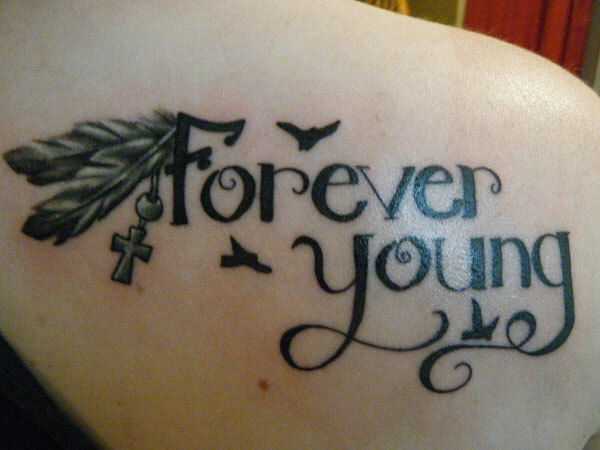 Tattoos have become extremely popular in this generation and as the day’s passes, people are considering more and more tattoos on their body. 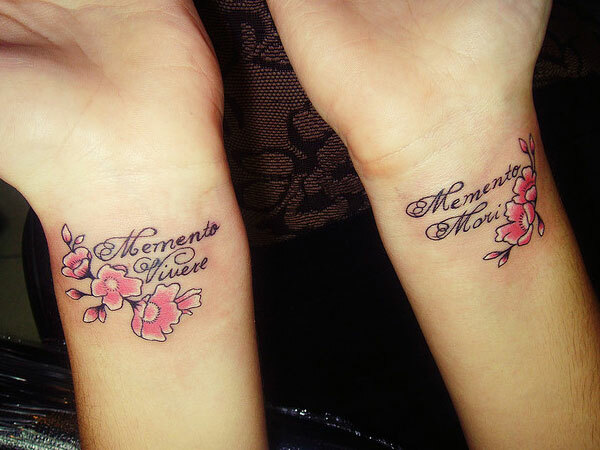 They are becoming more and more popular among people who are mostly teens, as can be understood by the openings of more and more tattoo parlors everywhere. 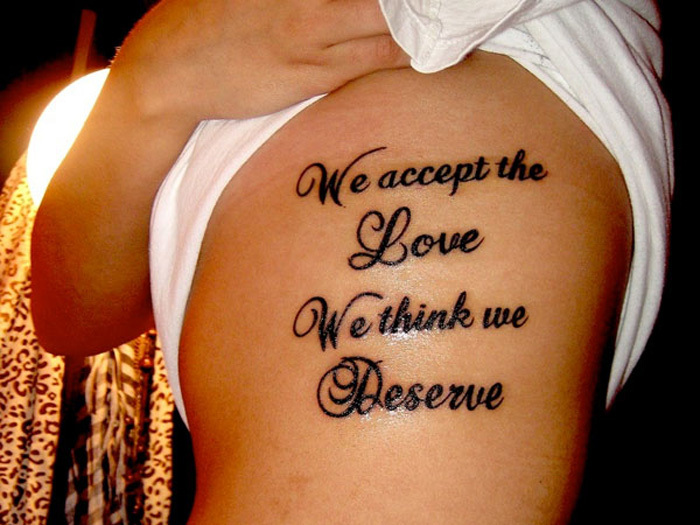 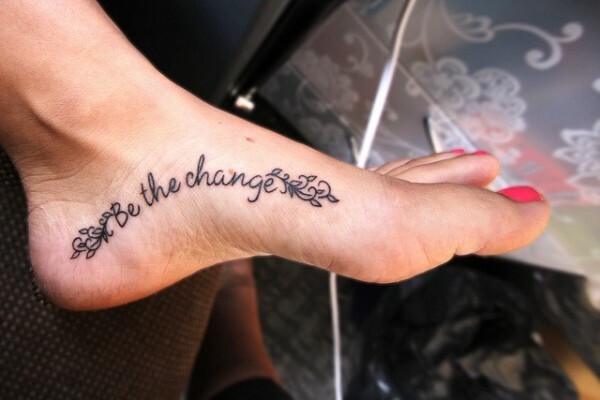 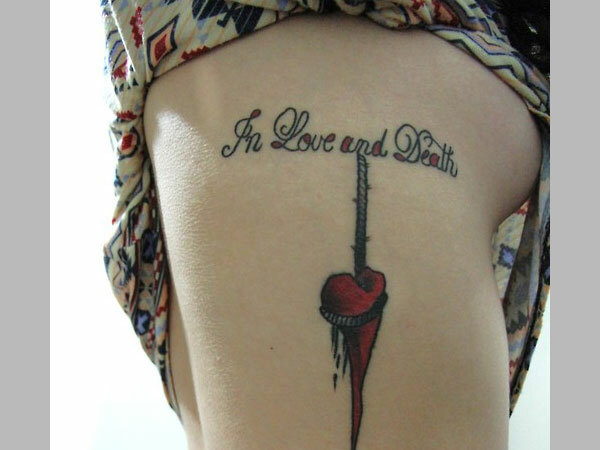 Teens considered tattoos as an object of expressing their feelings through it. 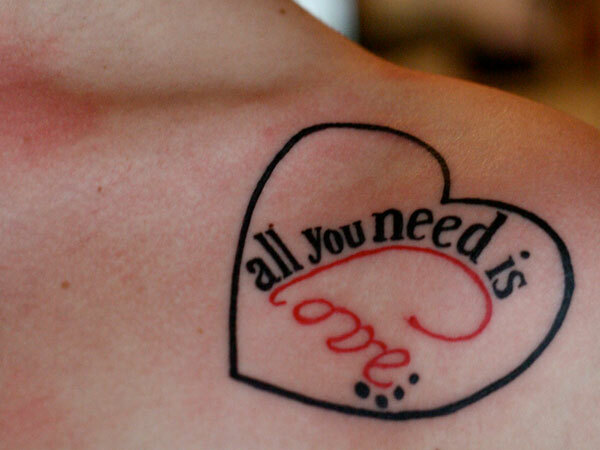 People apply tattoos on their bodies due to a variety of reasons. 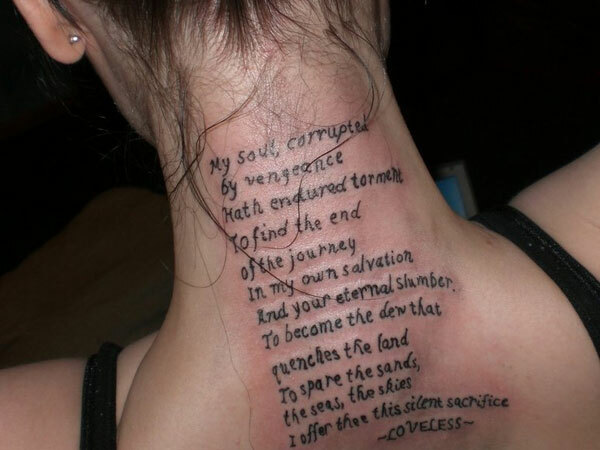 Many of them serve as mark of rank and status, rites of passage, symbols of spiritual and religious devotion, sexual lures, decorations for bravery, pledges of love, symbols of fertility, signs of punishment, figures of talismans and amulets, signs of protection, and marks of slaves, outcasts, and convicts. 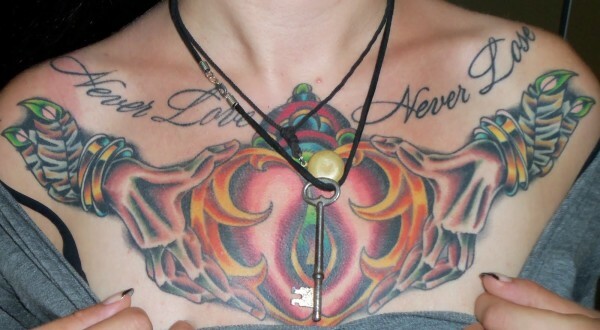 The impact and symbolism of having tattoos differs for people living in different places and cultures. 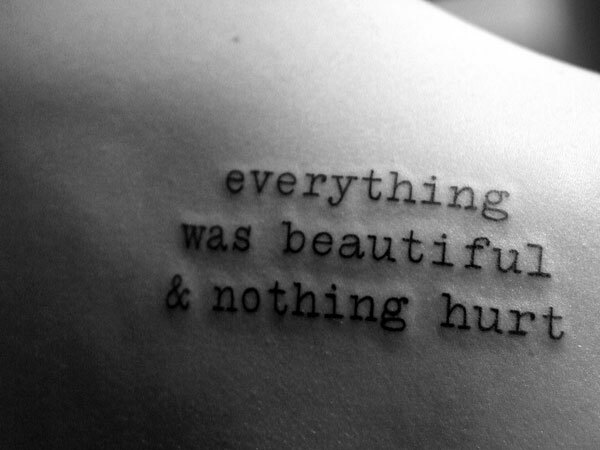 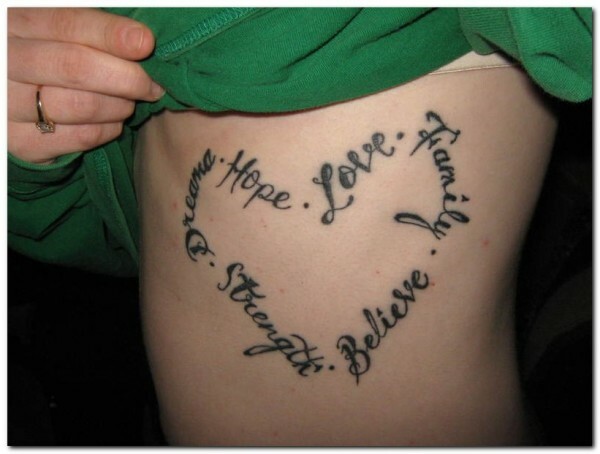 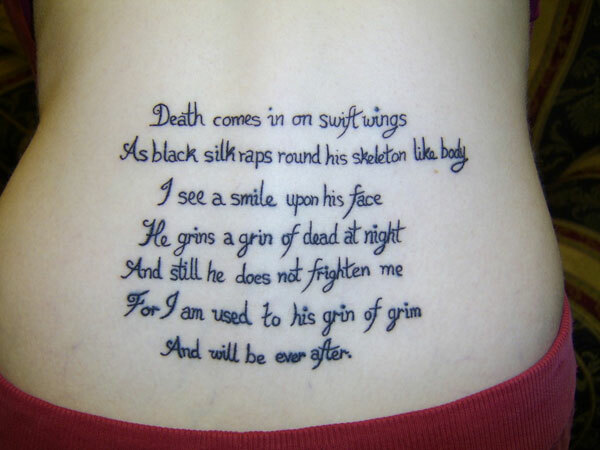 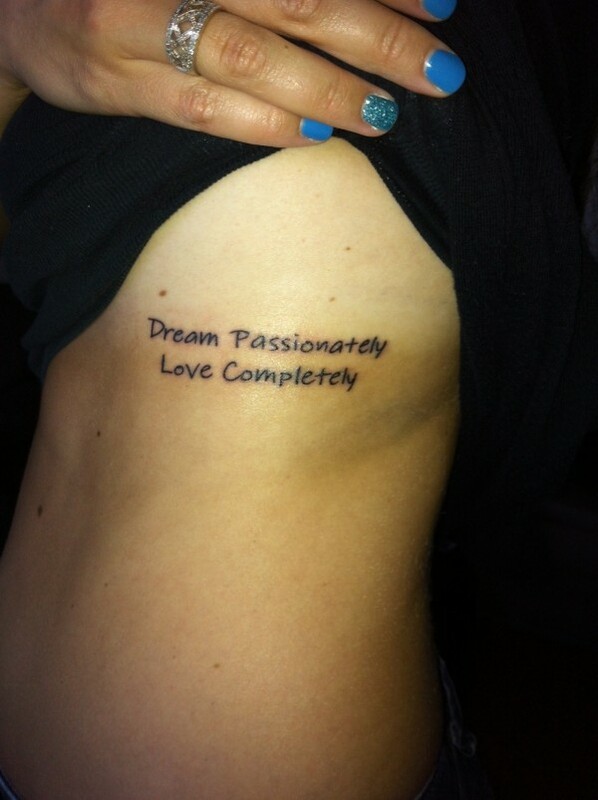 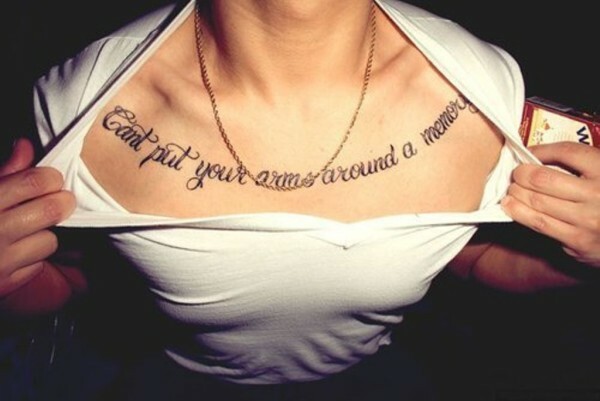 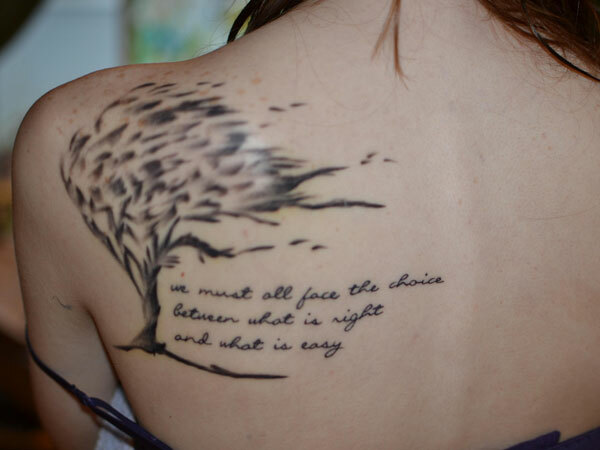 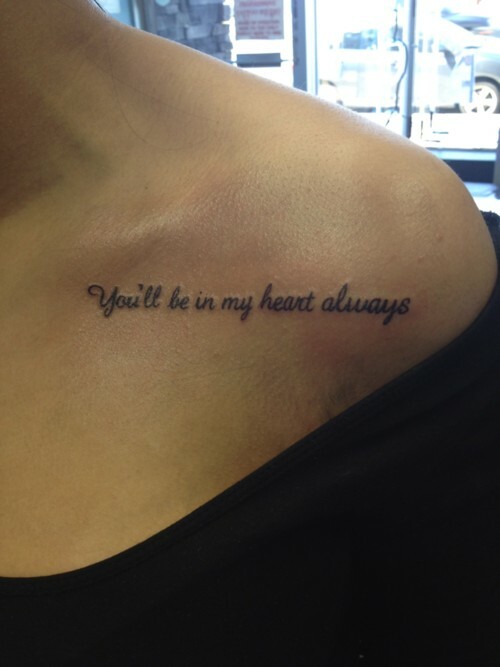 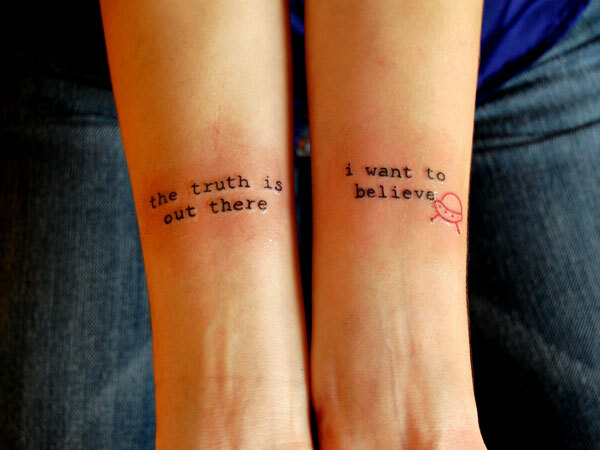 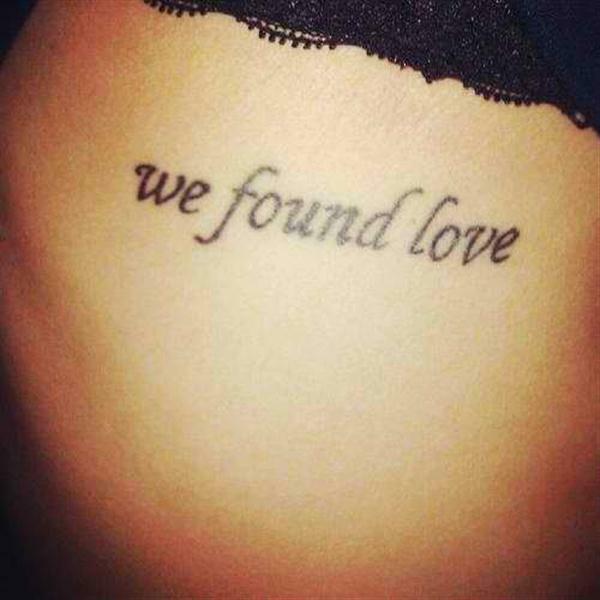 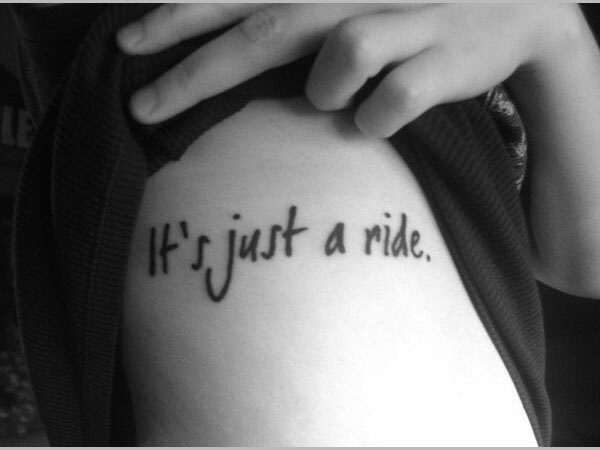 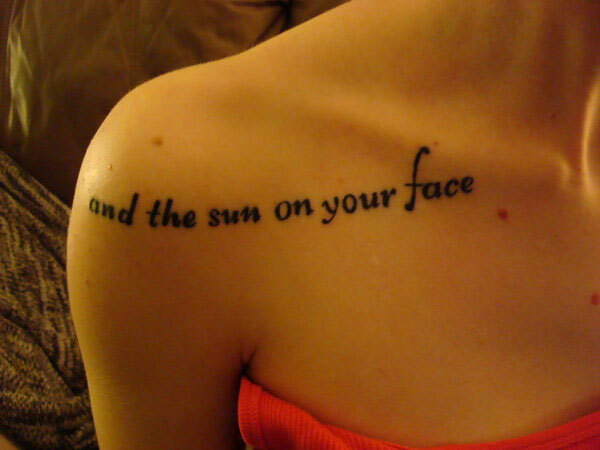 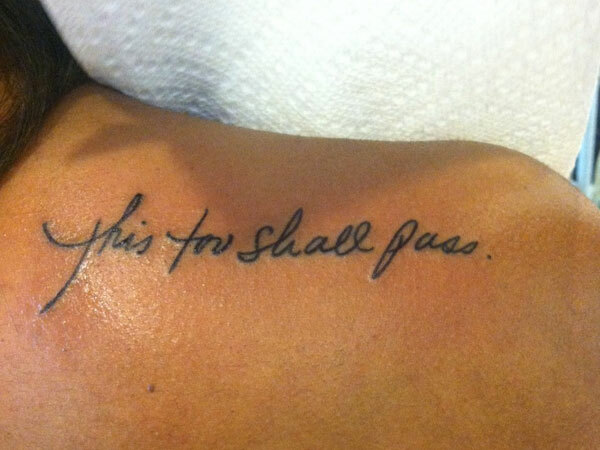 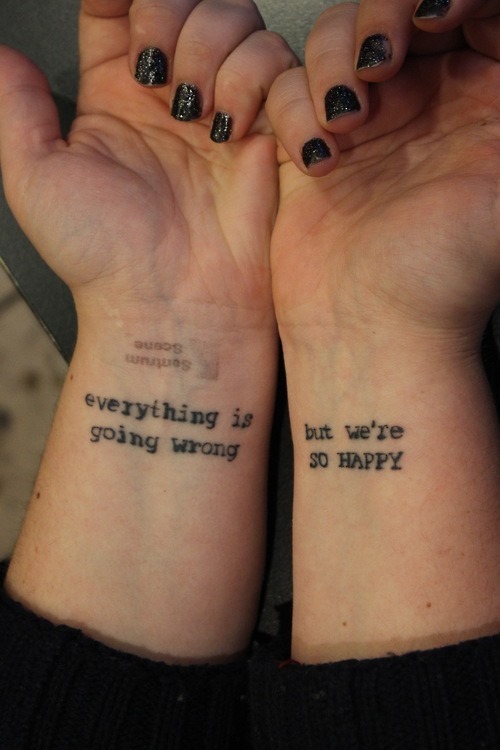 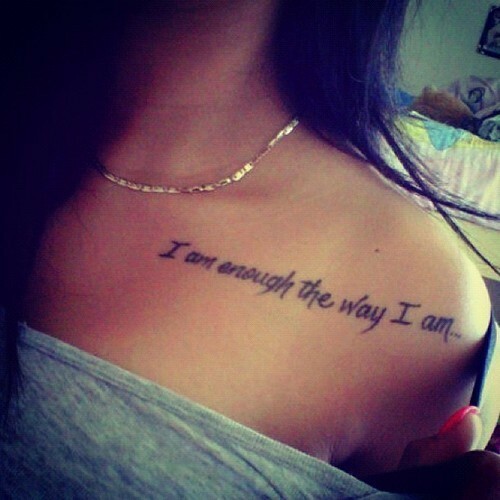 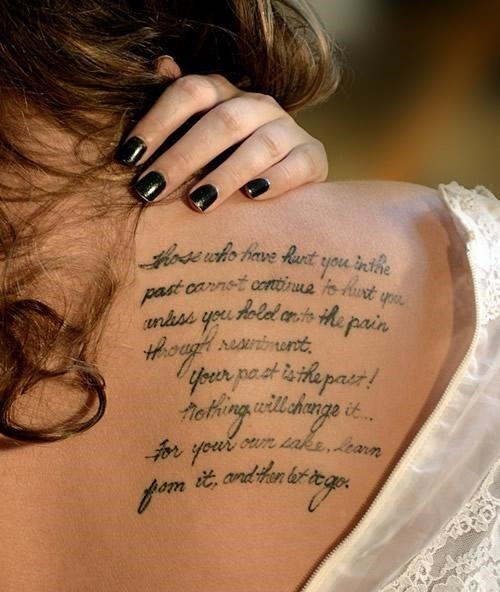 Quotes for tattoos show the feelings of the person which he feels about any person in his surroundings. 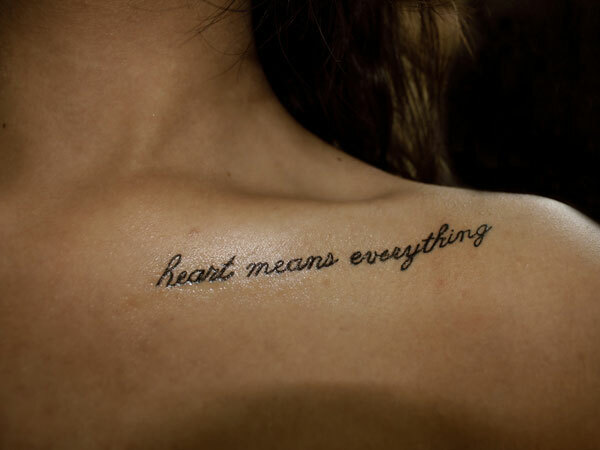 Not only due to this reason, but for many other including cosmetic, artistic, sentimental, religious, memorial, and magical reasons, people get tattoos on their bodies. 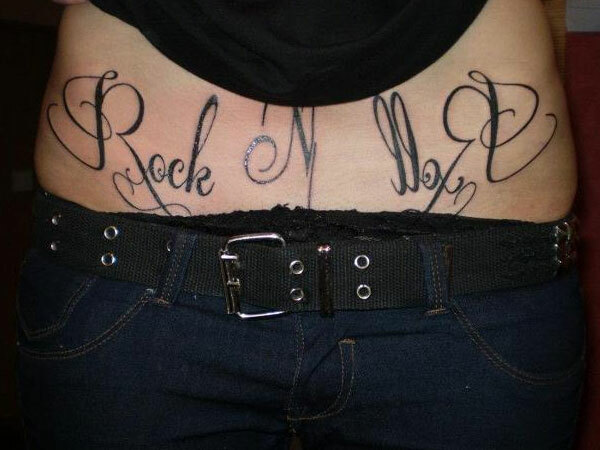 People also are required to get tattoos on their bodies when they become affiliated with some groups which may be ethnic or some kind of criminal gangs or some law-abiding subculture groups. 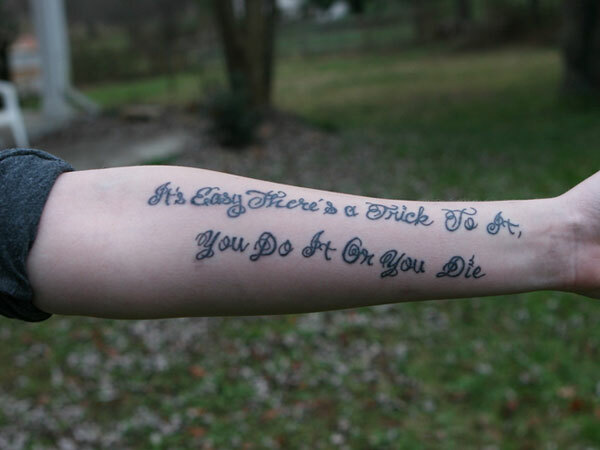 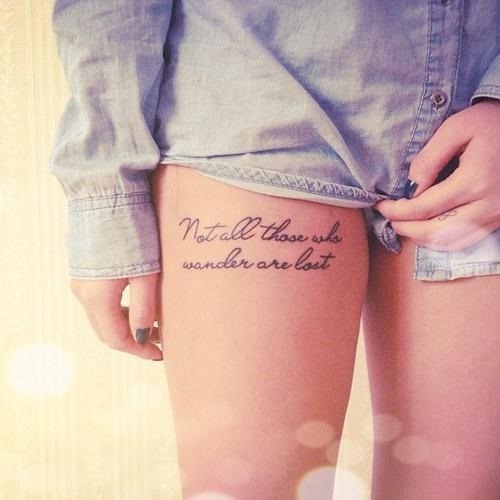 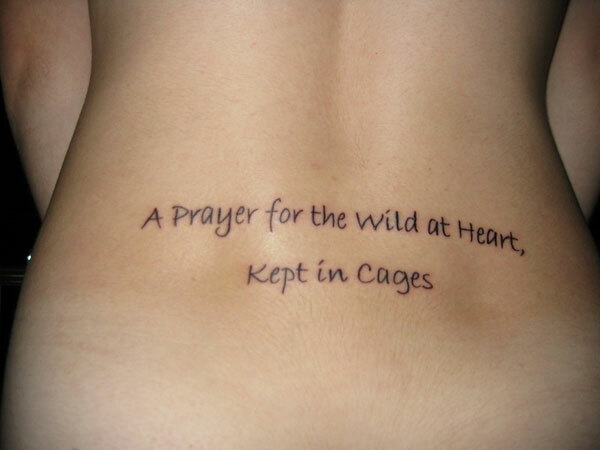 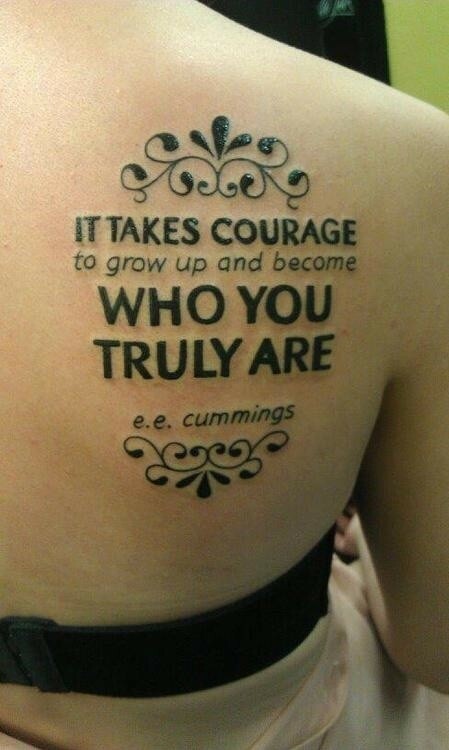 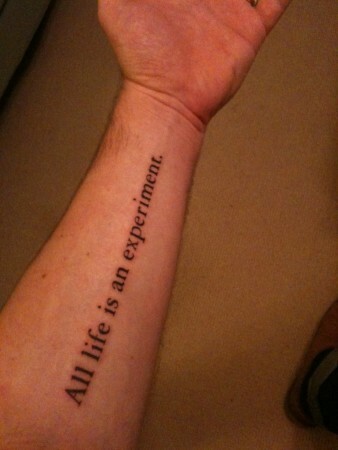 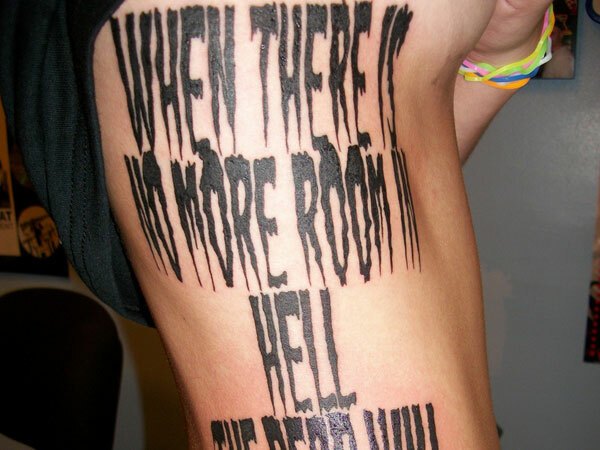 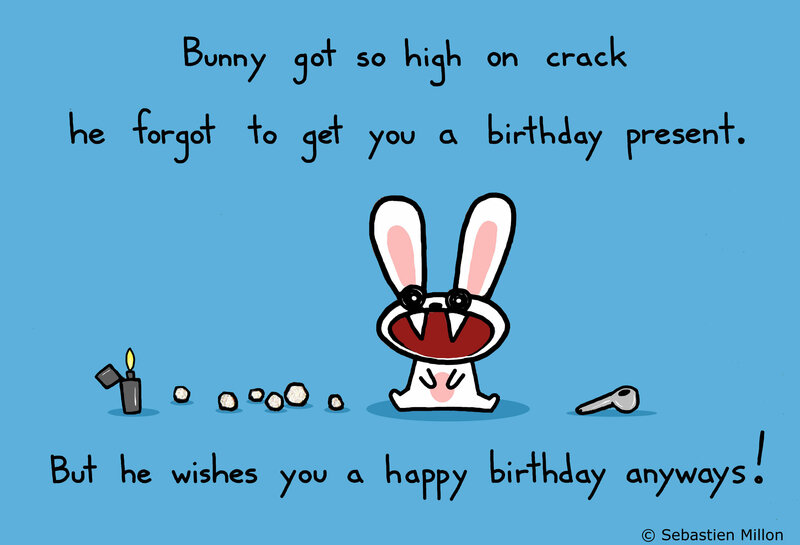 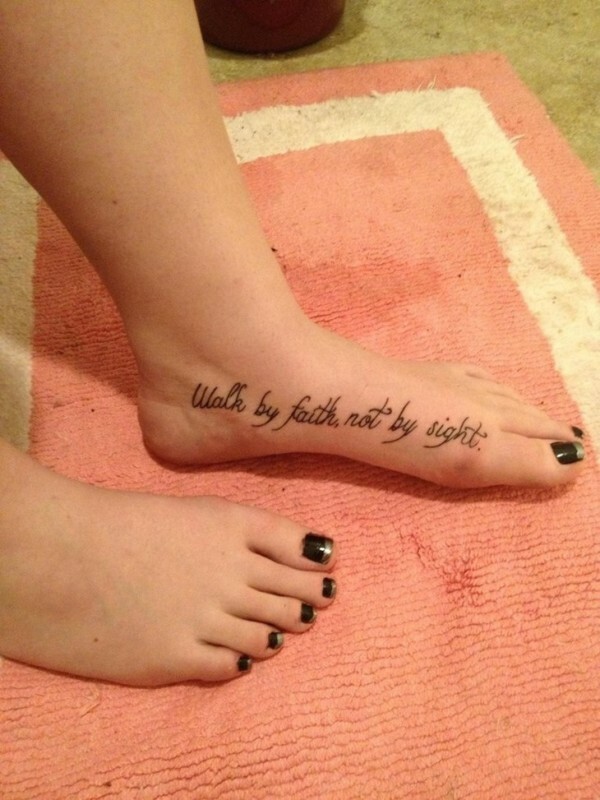 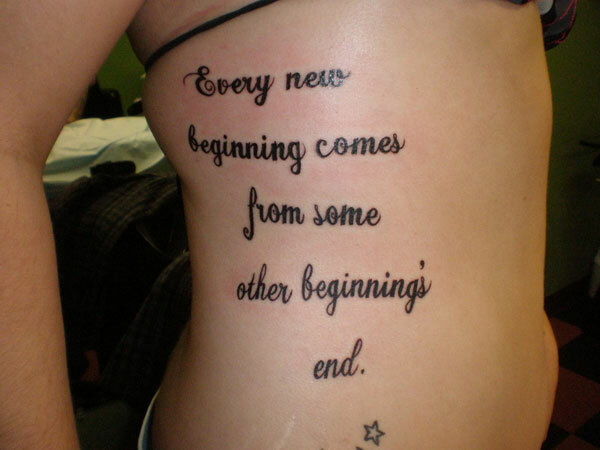 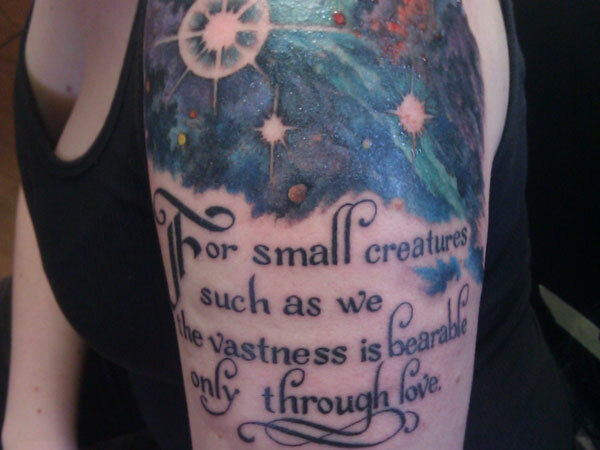 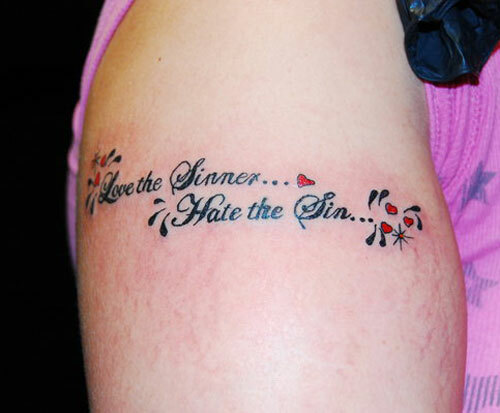 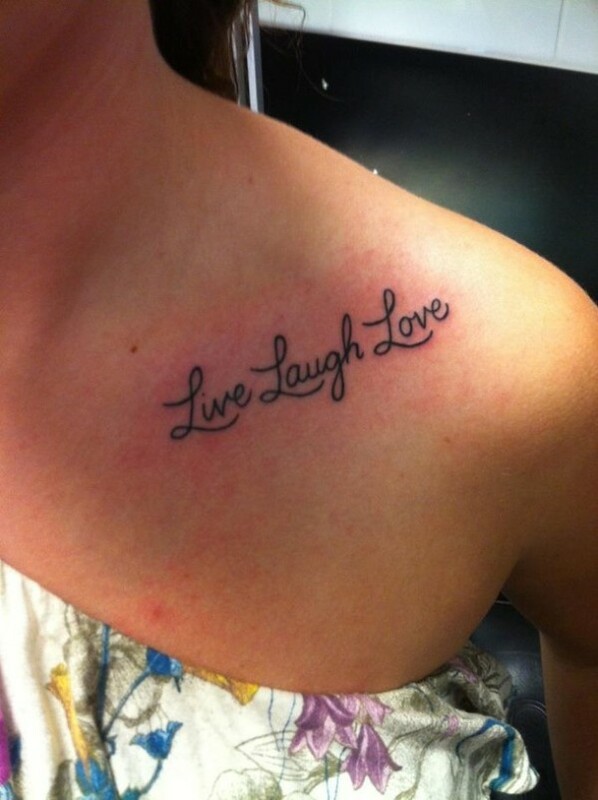 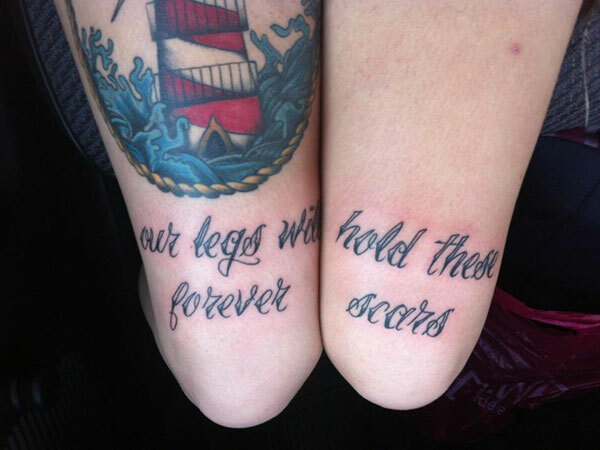 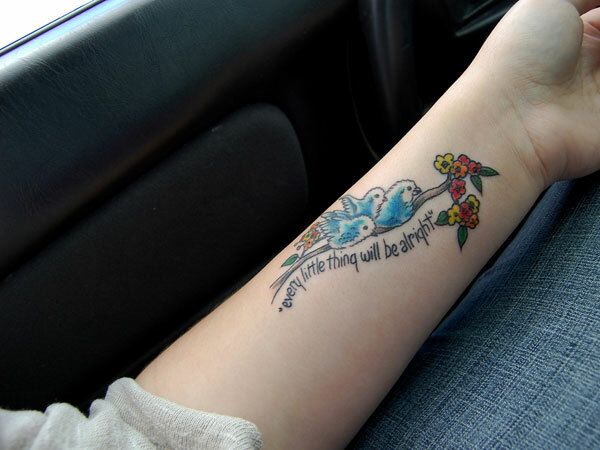 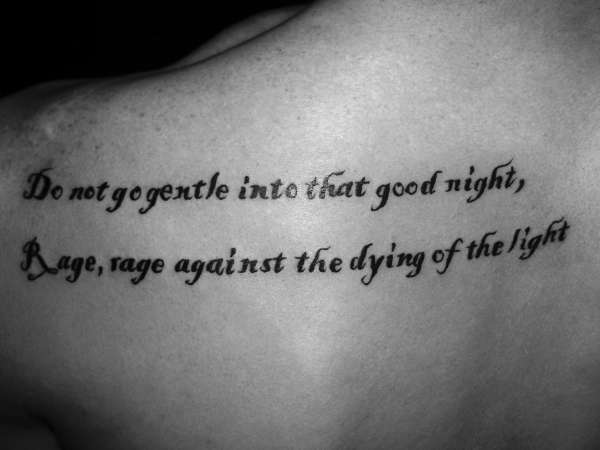 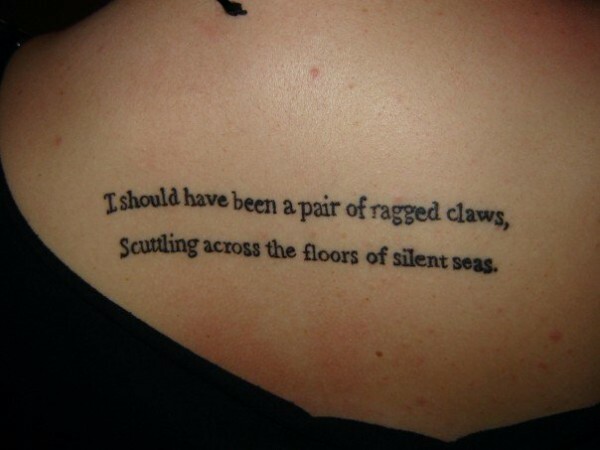 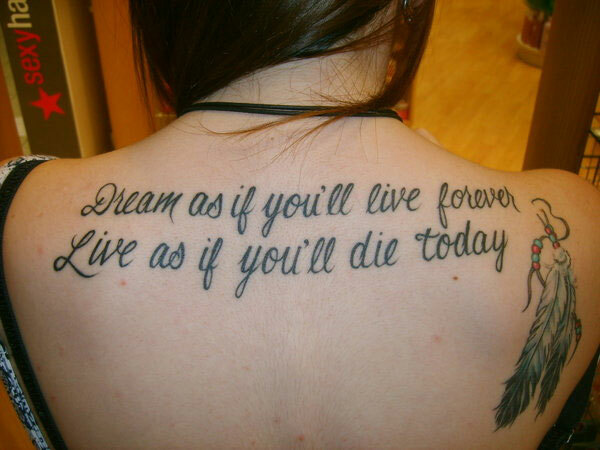 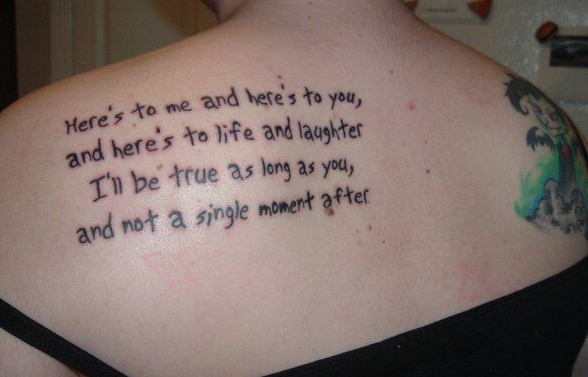 Enjoy some of the tattoo quotes here. 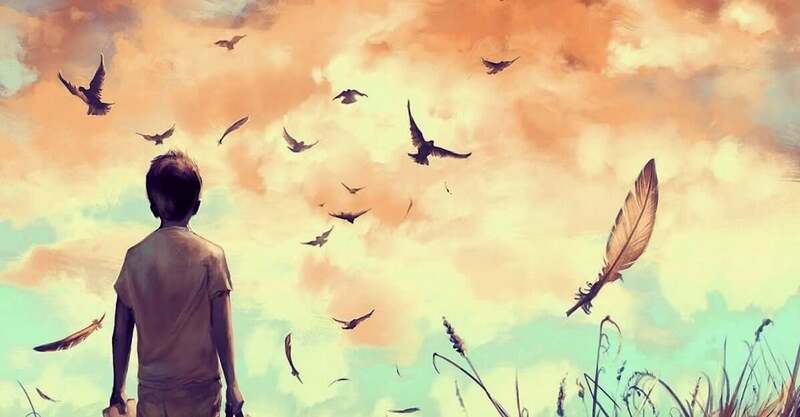 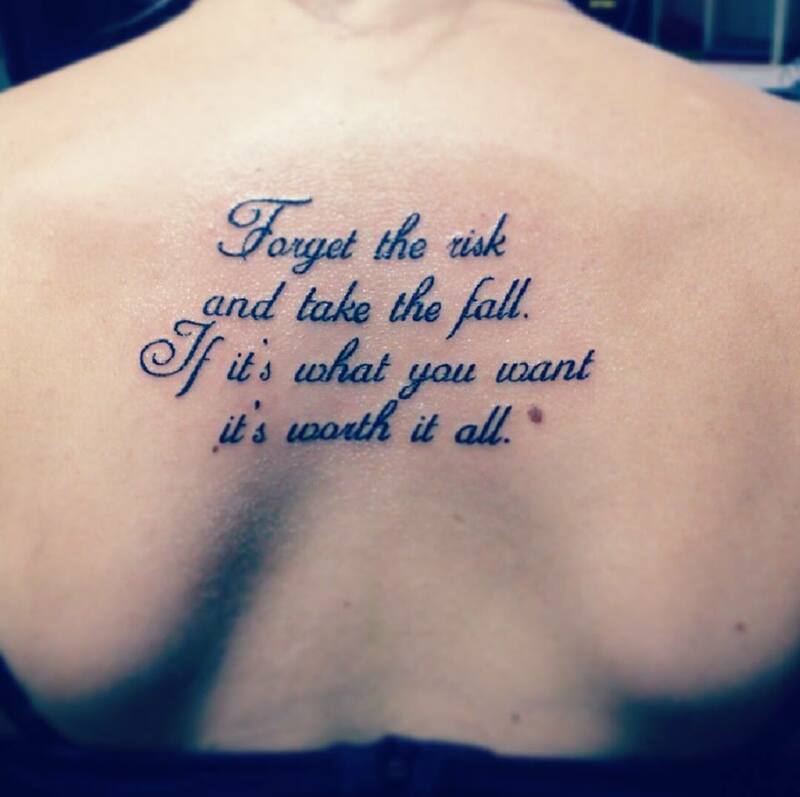 ” Forget the risk and take the fall.